The municipal archive is as old as Rotterdam itself. The first archivist was appointed in 1857 and in 1868 the town hall records were transferred to the Schielandshuis. 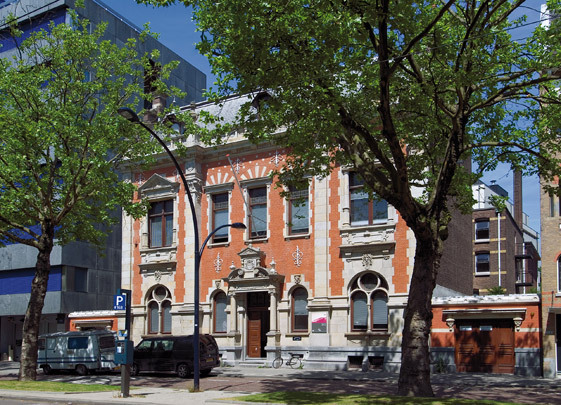 In 1899 an official public records office, consisting of an administrative building with a signature facade and a depot, was opened on Mathenesserlaan. The brick facade, which incorporates elements of many architectural styles, sports stone pillars, pilasters and ornaments and Rotterdam's coat of arms above the entrance. It was enlarged in 1970 with a modern depot at the rear. Although this was expected to suffice for the next 50 years, in 1998 lack of space led to the archives being moved to the RAC garage in the city centre.